Starbucks, in partnership with Big Brothers Big Sisters, is hosting a statewide day of service to engage Bigs (mentors) and Littles (youth) in philanthropy. 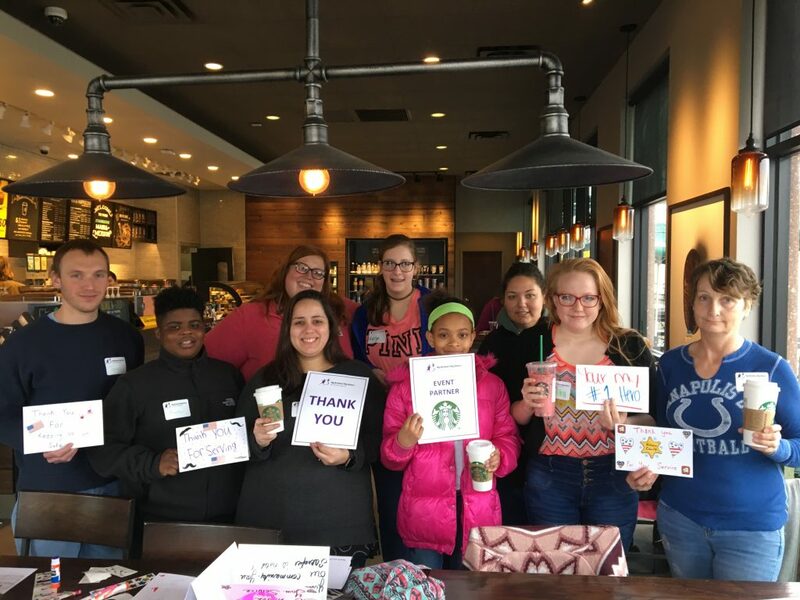 Locally, Big Brothers Big Sisters of Central Indiana (BBBSCI) has been partnering with Starbucks for over ten years to provide matches with this opportunity and this year, Starbucks has engaged BBBS agencies throughout the state to participate. 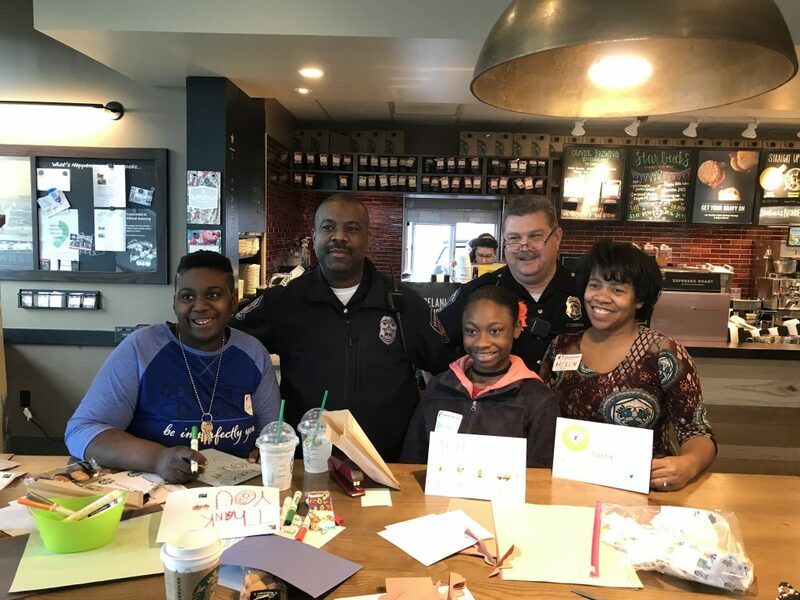 At select Central Indiana Starbucks stores, Bigs and Littles will get together to create cards for local law enforcement, fire departments, and EMTs. 25 matches from BBBSCI and leadership members from BBBSCI and Starbucks will be present at select Central Indiana Starbucks stores (list below) and Bigs and Littles from around the state will also be participating at Starbucks stores in Columbus, Ft. Wayne, Greater Lafayette, La Porte, and Muncie. Additionally, local law enforcement are joining Central Indiana Starbucks stores to engage with Bigs and Littles. Members of BBBSCI leadership team, local law enforcement, and Bigs and Littles available for interview at the following Starbucks location: 7425 N. Keystone Ave., Indianapolis, IN between 1 and 3 P.M.
Starbucks is a strong and consistent supporter of Big Brothers Big Sisters for over ten years, offering volunteers around the state a free beverage each Friday in January during National Mentoring Month and additionally, Starbucks encourages its employees to engage in community service. This statewide activity will raise awareness of mentoring by hosting Bigs and Littles in stores throughout the state, but also allows mentors the opportunity to teach youth about philanthropy and giving back.